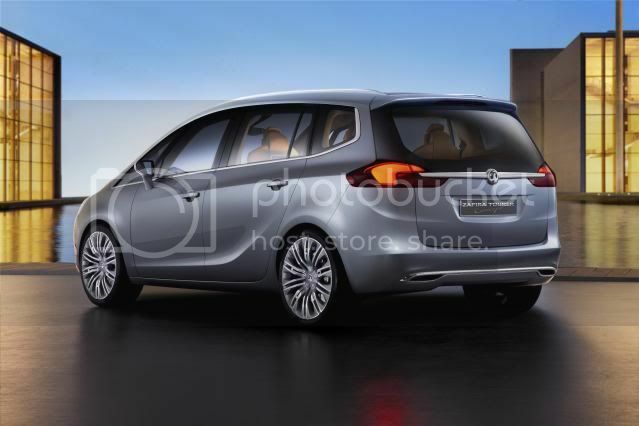 Following the first image of the Zafira Tourer Concept that appeared from an iPad, GM has published fresh images of the Zafira Tourer Concept. 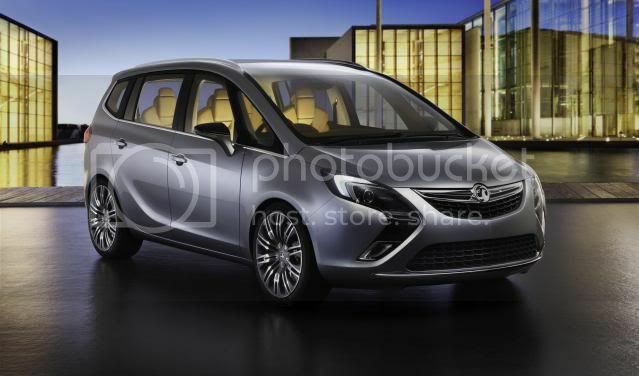 The concept is apparently a show car and will strongly hint at the production Zafira. 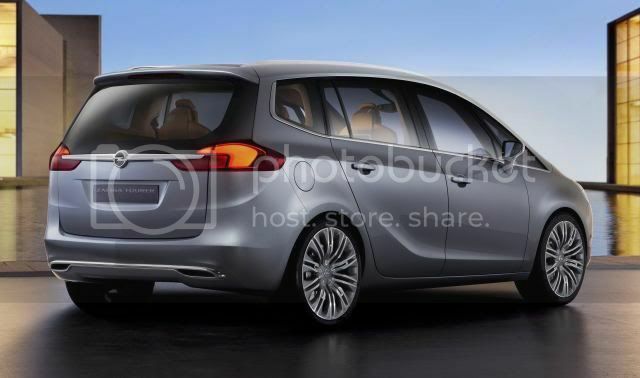 It'll move upscale to rival the Ford Galaxy, which will leave the current Zafira, in facelifted form, to proceed. 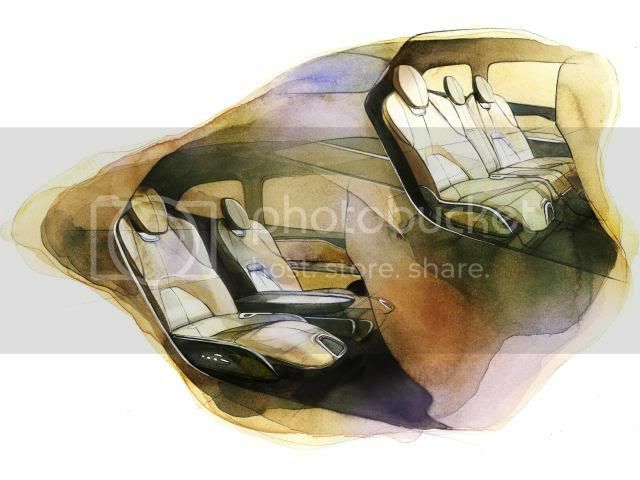 Combining “lounge-on-wheels” luxury with the same high degree of flexibility, the concept’s cabin has a light, airy feel and generous space for rear-seat passengers. 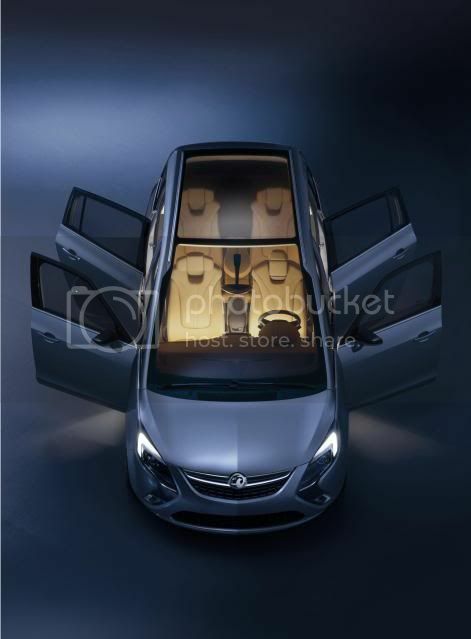 The Zafira Tourer Concept underpins GM's Delta II chassis and takes design cues off the Ampera range-extending vehicle. 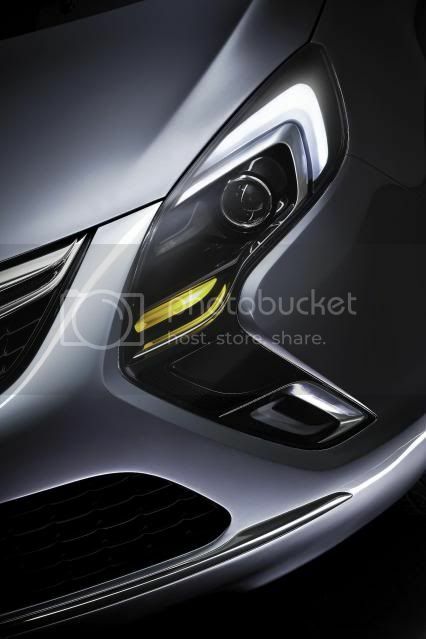 Additionally, the front is home to adaptive bi-xenon headlamps with LED daytime running lights. 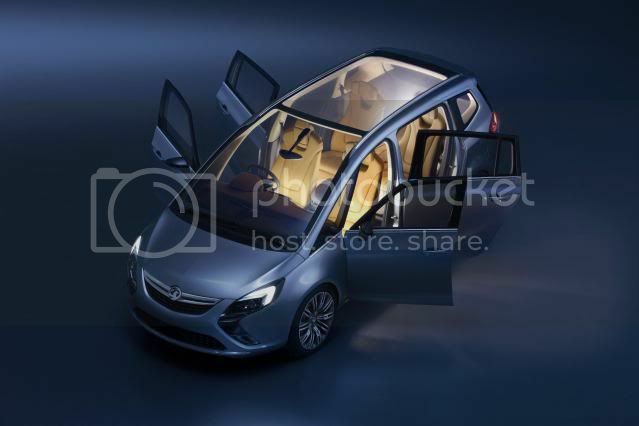 The large panoramic glass sunroof features LED lighting in the second pane, in which tiny metallic particles are embedded in the cabin’s upper sections to reflect the light and give off a warm glow that can be varied in different shades of yellow. 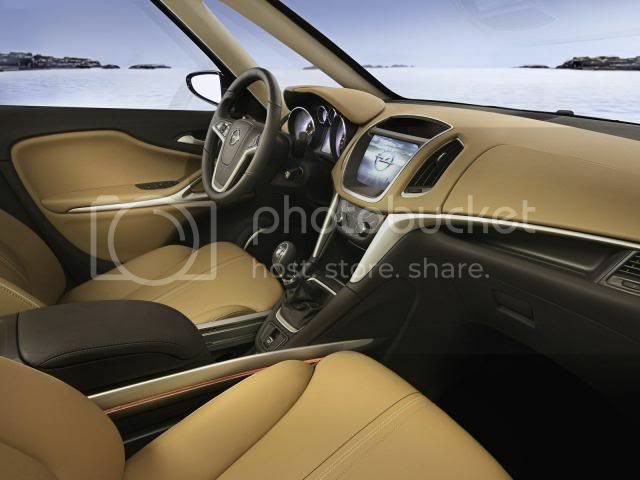 The concept also boasts 20” alloy wheels and electrically adjustable rear headrests. Inside the vehicle, GM's Flex 7 makes a welcome return. 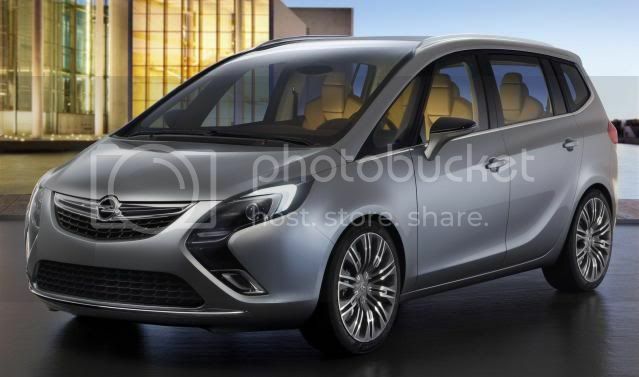 With two rows in place, providing five-seat capacity, the Zafira concept can be transformed at the push of a button into a four-seater with limousine levels of space. A clever new folding mechanism allows the centre section of the second row to fold down, revealing two armrests for occupants in the outer seats. These seats can then slide back and towards each other, creating generous levels of space around passengers. 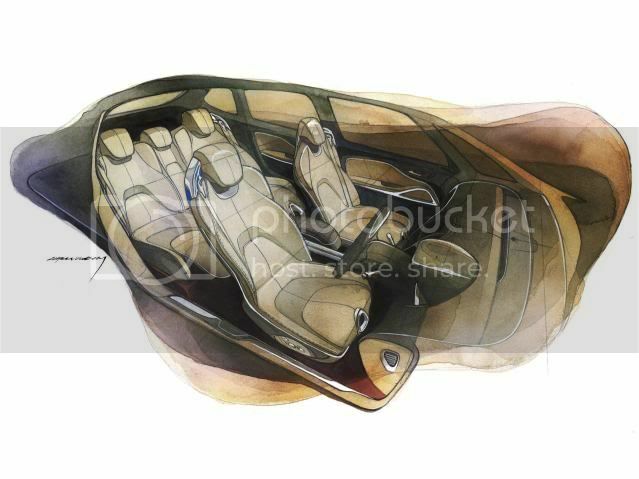 Extended footrests complement the seating system still further. The front cabin houses a large touch-screen display on the fascia, above which a covered storage compartment can hold a tablet PC like an iPad. The heating can be controlled using two turn knobs below the display, and air conditioning via touch-buttons. Thanks to the flexible and pivot-mounted tablet PCs on the front seat backs, passengers in the second row can comfortably surf the Internet or control multi-media applications. Sleeping in the engine compartment is a 1.4 turbocharged petrol engine with stop/start. 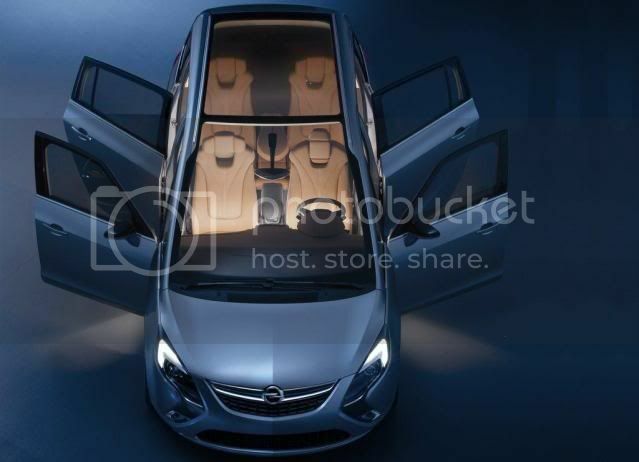 The production model will go on sale in Autumn.